Picked up a Dentron Super Tuner for 100 on Craigslist. A little high for the unit but I have seen great reports on this manual, no frills tuner so I got it. My first cursory visual inspection did not reveal any issues. Once I hooked it up I found intermittent issues and some wild results. I acquired two 1/2" square Acrylic rods from eStreet Plastics. Being a big fan of The Boss, I went with them as the supplier. I acquired a brad bit to drill the holes for the mounting screws and the screws used to keep the caps in place. once drilled and mounted I had grounding issues as I screwed the caps through to where they were grounded to the chassis. After mounting the caps correctly, the tuner worked like a charm. It has been doing great. So if you get one, the most common problems I have read about are that the Acrylic stand-offs are broken and that the inductor switch is not working. If you are finding that it won't tune at all it may be a grounding issue where the caps are grounded to the chassis by mistake or broken stand-off. The horizontal loop fed with ladder line performed less that miserably so down it went. I used the wire and one of the posts to setup my 40 Meter Sloper Doublet. It has done a great job and is out performing my G5RV on more northern hops. They run pretty much neck and neck. The benefit of the sloper is in the feedline. Using the ladder line allows for very little loss. To keep it from the rain gutters, I used a piece of wood that it lays over and extends beyond the gutters by a few feet. There is about 125 feet of ladder line being used. I have not seen any problem running it across the roof as long as I keep it away from vents and the like. I was amazed when I could easily tune up on 80 Meters! I assume that on that band the feedline radiates some but it gets me through. My next move will be to put up an 80 meter sloper doublet. It is resonate at about 7250 without the tuner. I am tuning up on 80, 40, 20 (2:1) 15, and 10. 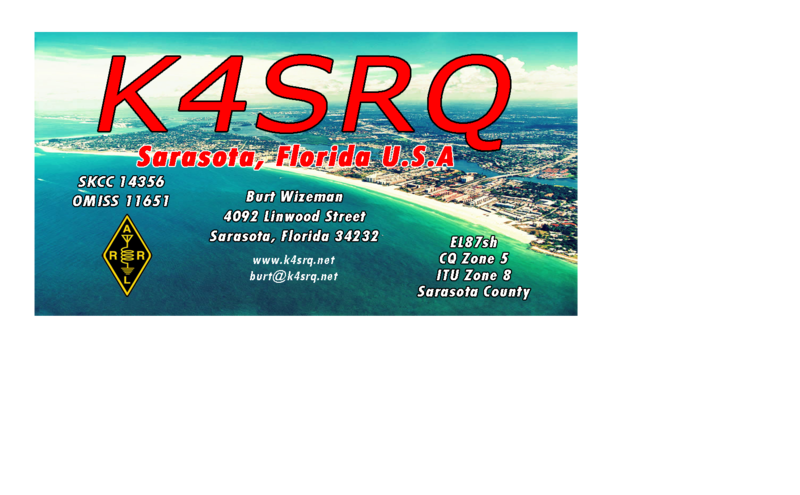 Just wanted to post my QTH info for use anyplace. Finished install of 9 foot high NVIS 40 meter Horizontal Loop antenna. Fed with 125 feet of Window line. Window like e was run on ground and behind metal shed. Syste. Was resonate at around 6.7 or so. SWR at rig was abt 1:1.5 at 7.0. 15 and 6 meters would not tune but 20 and 10 would. Today I cut feed line by abt 35 feet. Now 20 and 10 tune But not 40 and 15. I am thinking kind g that impedence at 40 and 15 is too high due to either 4th and 3rd harmonic at 15 and 40 respectively. Will add on more window line to test that feed line length is the problem.